Product prices and availability are accurate as of 2019-04-22 00:57:47 EDT and are subject to change. Any price and availability information displayed on http://www.amazon.com/ at the time of purchase will apply to the purchase of this product. 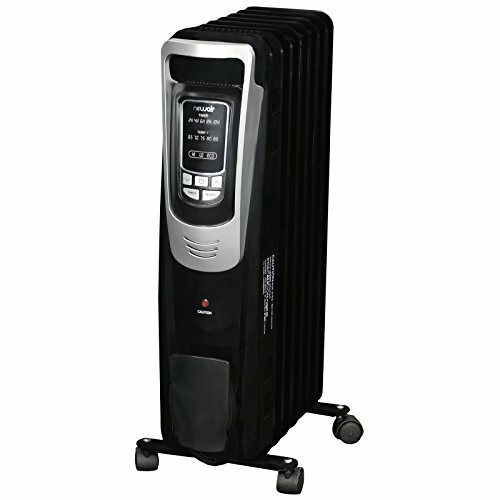 The super-quiet NewAir AH-450B Electric Oil-filled Radiator Heater is a seven-fin design that quickly warms any small room. 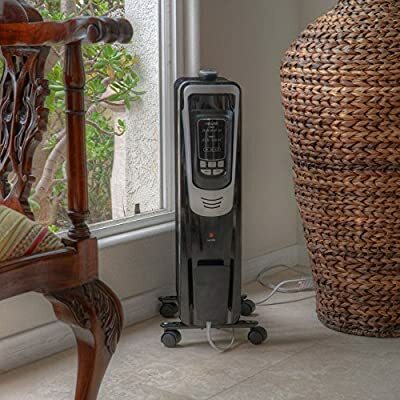 This heater features a digital timer and thermostat with three heat settings that put you in control of up to 5,120 BTUs of heating power-- more than enough energy to cover an area as large as 150 square feet! Made to be conveniently portable, the body features front carrying handles and its base has heavy-duty caster wheels that make it easy to move the unit from room to room where it can be plugged into any standard outlet. 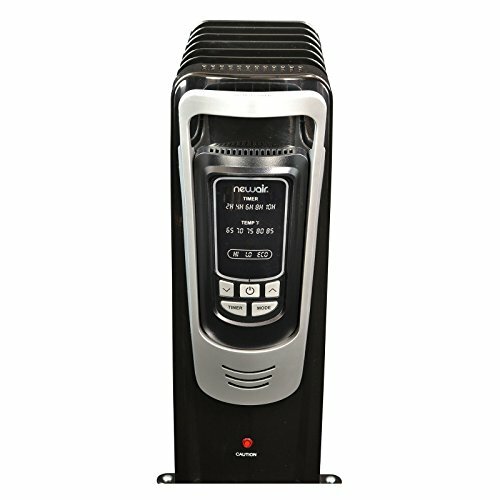 Certified safety features include overheat protection and a tip-over switch that immediately shuts operation down if the unit is ever knocked down by an individual or pet. 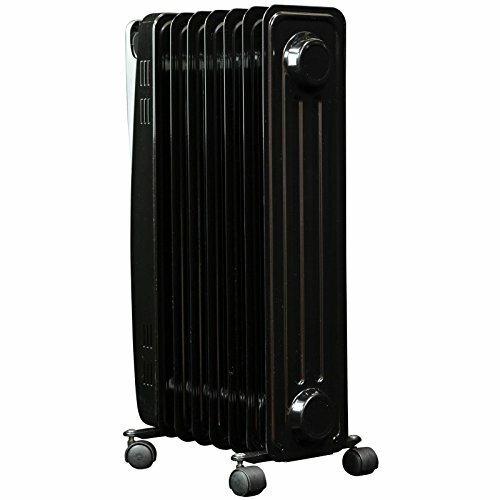 Dimensions: 14.25L x 12.75W x 25H in.. Made from metal and plastic. Black finish with silver faceplate. 120 volts/1500 watts/12.5 amps. 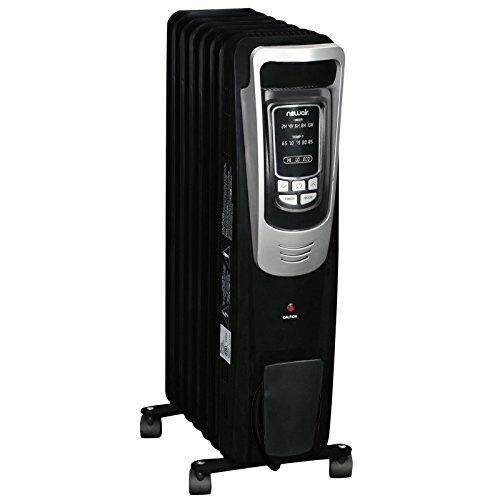 5,120 BTU heating capacity, 150 sq. ft. coverage. Built-in digital thermostat and three heat settings. 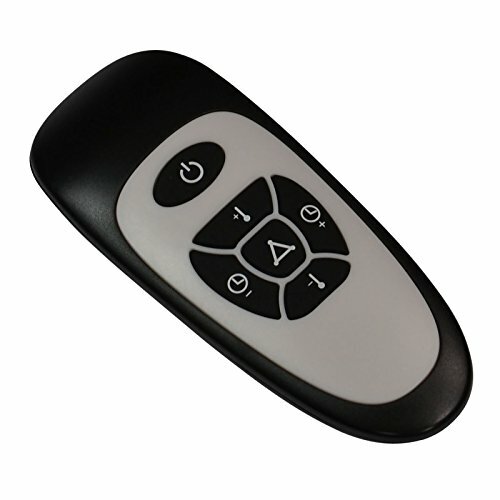 Tip-over switch and 8-hour timer function. Base fitted with four casters for easy mobility. Standard 2-prong plug connects to any outlet.